It is upon us. The time is now. The hay is in the barn. Yup; 2017 is about to kickoff for the Westerners. We are ready to tee this season up and kick it into high-gear. here are the top five moments I have had on opening day of football season. 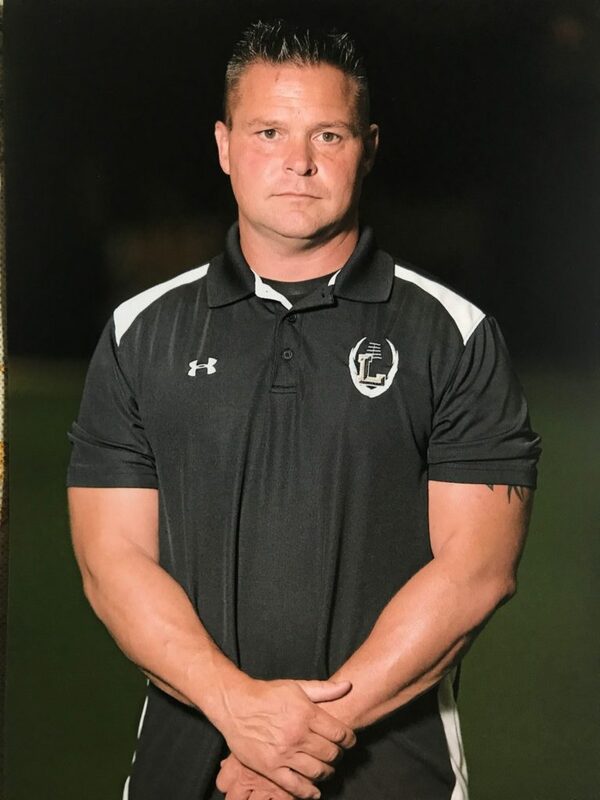 2003 – It’s my first game a Defensive Coordinator at Northampton High School under Head Coach Teko Johnson. Teko was intense! I was a nervous wreck. I downed two bottles of Pepto and felt like passing out. Thankfully, on our first defensive series we got a pick-6 from Billy Haydt and we never looked back. We won and gave up just a TD against the Stroudsburg Mountaineers. 1996 – I was in my first year of coaching and I was 19 years old. Chris Gerhard hired me and brought on board at Nazareth High School. Chris coached me in high school at Northampton. A year after I graduated he went to Nazareth and he took me with him. Here I am, a year removed from playing, and I am coaching with the guys who coached me. It was awesome. Seeing the other side for the first time and working with the guys who coached me was an incredible experience. We lost to Emmaus on opening night, but I was hooked on coaching forever. opened up at East Bay. We lost 17-14 and fumbled six times. I was excited about our season. We played 14 Sophomores. I knew we were on the cusp. The East Bay opener proved our inexperience. But we used it to get better all year long. 2009 is one of my favorite years of all time. What a great group of kids that was. 2011 photo in Lubbock – Coach Strunk, Tracy, Kennedy and Mac. is everything I thought it would be. Every opener since then has felt the same way. Friday nights in America quite like Texas. I love being here! So, as you can see, opening day is a very unique experience and you never know what is going to come of it! So.. enjoy it! Friday Family Day. My family is always there. They always have been. This is what we do. 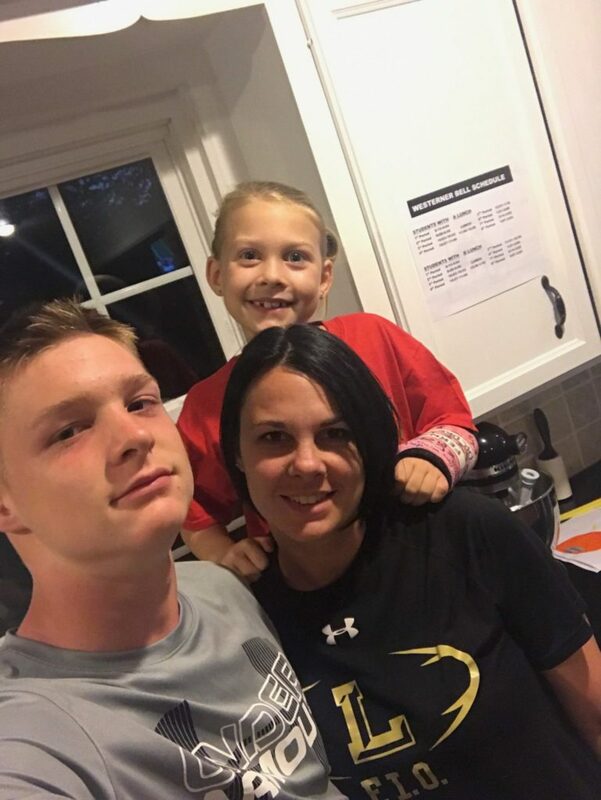 Left to right – Mac Strunk, Tracy and Kennedy. tonight he graduates from ball boy to varsity football player. He will be wearing number 14. He will be on special teams. He will play some defense. Now, Friday’s take on a whole new meaning for our family. It’s going to be different. Kennedy (my daughter) will be there. And Tracy (wife) will be there, of course. My parents will be there. All the Strunk’s will be in one stadium as usual, but now all eyes will be on the field watching No. 14. It will be a cool moment for me, I’m sure. My coaching life has come full circle. We have moved across the country many times. We have uprooted on many occasions. Change has alway been the norm for us. 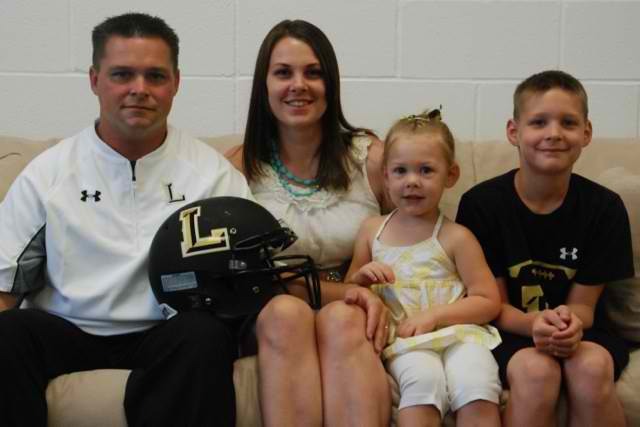 Every step of the way this family has been there and they have sacrificed a bunch for my pursuit of football glory. I owe it all to them. Without them, I am nothing. Tonight Mac gets his first Friday Night Light’s experience in Texas. He is doing something I only ever dreamed of. He is a lucky kid, as all Texas kids are. Enjoy the moment. Enjoy the ride. And, please, understand how lucky you are to have all of your family in one stadium watching you play. That’s it. Time to go over the game plan. It’s 10:34 p.m. Thursday night, I’m sure I will be up until 2:34 a.m. Just how it is.